DEARBORN February, 4, 2015– Ford Motor Company will be adding new hourly workers to its workforce between now and March, in support of the 2015 F-150. Ford said today that it will add more than 1,500 jobs — 650 of those will be here in Michigan. Of the 650 new Michigan jobs, 500 will be located at Dearborn Stamping and Dearborn Diversified and 150 jobs will be at Sterling Axle in Sterling Heights. The remaining 900 will go to Ford’s Kansas City Assembly Plant. According to the Detroit News, all of the new hires have already been identified. 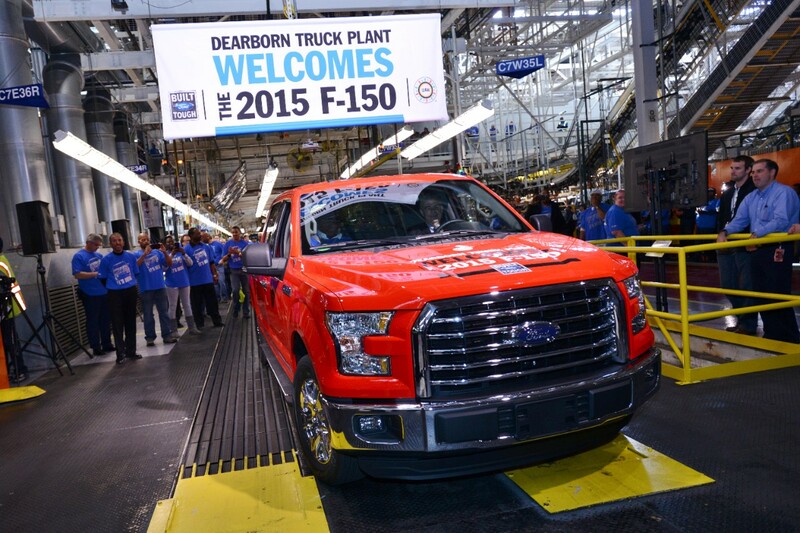 Dearborn Truck Plant recently added a third shift to make the aluminum-bodied F-150, and Ford’s Kansas City Assembly Plant recently installed the new equipment needed to build it. It marks the first time that any of the union’s members have moved up to a higher pay scale since it agreed to two-tier wages in 2007; General Motors Co. and FCA US LLC don’t have cap limits. Ford has hired more than 15,000 hourly UAW members since 2011, exceeding its goal of creating 12,000 hourly jobs in the United States by 2015. Ford said Tuesday that last month was the best-selling January for its F-Series trucks since 2004. Ford said the new aluminum-bodied pickup represented 18 percent of F-150 sales. The 650 Michigan-based workers will begin work by the end of March. This entry was posted on February 4, 2015 by WMALC in Michigan labor news and tagged Dearborn, Michigan, Sterling Heights, UAW.